In June of 2016, TechCrunch’s Josh Constine wrote an article titled: The unsexiest trillion-dollar startup — telling the story of a freight forwarding startup that went through Y Combinator, and raised $26.9 million from top investors. At the time, the three year old company had ~700 clients, which used its service to ship freight all over the world through a complex logistical networks of trucks, trains, ships, and airplanes. Freight forwarding is a multi-trillion industry that facilitates global trade and runs the world’s economies, which up until recently, was primarily being done through faxes, emails, and Excel. Then Flexport came along and indexed all the available carriers into a searchable database, offering free easy to use software that handles everything at scale. In September of 2016, Flexport raised a massive $65 million funding round at a $300+ million valuation, and a year later investors poured another $110 million into the business at triple the valuation. 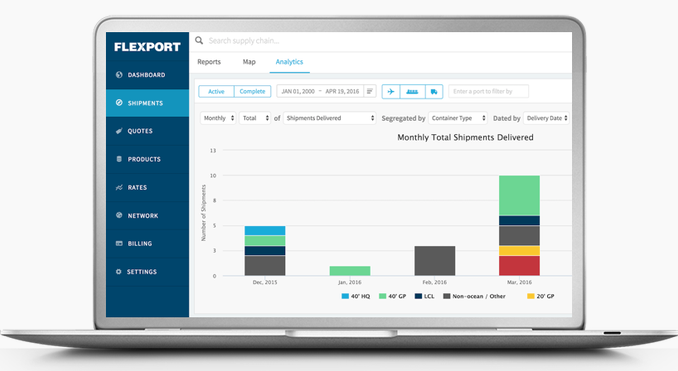 By using software to bring transparency to the black box of freight forwarding optimizations, Flexport is quickly grabbing market share in a winner-take-most multi-trillion dollar market, where innovation was nonexistent until today. Flexport may already look like the breakout winner in the space, but it’s still early-days. Large companies, including Amazon, are competing for market share, and promising startups like Haven are going after the opportunity that’s there for the taking. As a startup employee, especially if you’re someone earlier in their career, choosing the right company and seeing what success looks like first-hand is almost always the right choice — regardless of the industry, title, salary, or equity percentages. For more on that, read Hunter Walk’s guest post on the our blog: Midstage Startups Are Your Best First Job in Tech. Flexport is still relatively small considering their scale, and currently has one of the longest list of open positions on AngelList. Check it out and see if something interests you, and where you can help.